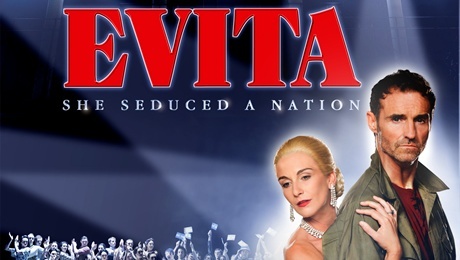 Evita is the story of the life and death of Eva Peron from her poor childhood through her burning ambition to be an actress, getting work in various theatres before getting her first significant role on Argentine radio. Eva’s ambitions turn to powerful men and she meets and marries Colonel Peron who becomes the President. The story tells of her short life, dying in the arms of her husband at the age of 33, through the music and lyrics of Andrew Lloyd Webber and Tim Rice. It is narrated by Che, played by Marty Pellow, who tells her story, questioning Eva’s ambitions and motives in becoming the wife of the President and her work in support of the working classes and especially women in Argentina. This production co-directed by Bob Thomson and Bill Kenwright was supported by a magnificent orchestra and ensemble of excellent dancers and singers. The scenery and lighting set the scene effortlessly, from the funeral scene to the balcony where Eva sings ‘Don’t Cry for me Argentina’. which made the hairs on the back of your neck stand on end. The show was a completely feel good performance with Eva, played by Magdalena Albert, giving an outstanding vocally and acting performance. Che played by Marty Pellow, although not as vocally excellent was still a great delivery of his character. Mark Heenehan, playing Peron, gave a great performance as the man who loved his country but also Eva. The performances of Sarah McNicholas as the mistress and her singing of’ ‘Another suitcase in another Hall’, together with Nic Gibney as Magaldi singing ‘On this night of a thousand stars’ were just awesome. I thoroughly enjoyed this show and can honestly say it is one of the best shows I have seen on the Empire. It gets no better than this! Magdalena Albert’s perfect performance as Eva is a ‘must see’!